The US troop presence in Germany is well placed and should not be reduced, NATO's former commander, Philip Breedlove, told DW. He also shared his view about the upcoming NATO meeting and the Trump-Putin summit. DW: There have been reports that the Pentagon is reviewing a potential transfer or a withdrawal of American troops stationed in Germany. As someone who was not just NATO's top military commander, but also the head of the US European Command, headquartered in Stuttgart, Germany, what is your view of a potential large scale withdrawal of US troops from the country? Philip Breedlove: I have testified consistently that we need more force in Europe, not less. I remain convinced that in order to meet the speed that our opponent can bring to his troop movement we need to be able to react at that speed. And that speed requires forward forces. In some cases we may not be able to move the troops forward, but we need to enable speed of reaction and in some cases that might be by prepositioning materials forward to allow forces to rapidly fall in on them. But I am not a proponent of further reducing any of the troop sizes in Europe. Rather I am a proponent of increasing our ability to rapidly respond and part of that rapid response requires forward troops. With 35,000 troops, Germany hosts the biggest contingent of US forces in Europe. Would you be in favor of shifting some of those or do you think the status quo is adequate and they should remain there? Right now the forces that we have in Germany are very small compared to what they have been in the past. I would not be supportive of further reducing troops in Europe nor in Germany specifically. And frankly, some of our most important command-and-control structures are in Germany and our infrastructure for that NATO command-and-control are in Germany. And those I think are well placed in order to support the rest of our European mission. Once again: I am in favor of increasing our ability to rapidly respond in Europe and that requires the in-place forces and consideration for more prepositioning for more in-place forces. Germany has been criticized by US administrations in the past, but especially by the current one for not spending enough on defense. You have personally been involved in this debate during your tenure at NATO. How would you assess Germany's defense spending and what is your take on the heated debate about this? I believe that Germany is having its own internal debate about how much they should be spending on defense. And as I watch your and other reporting, Germany has already concluded that it needs to increase its spending on its military and I would support that. Frankly, I served with a Bundeswehr (Germany's armed forces) in the 1980s that was an incredibly capable force and an incredible good ally and prepared to meet what we then faced with the Warsaw Pact. All of our nations have taken peace dividends since that time. But in 2008 we saw that Russia was not interested in the sort of rule set by which large nations use power to change borders as they invaded Georgia. And then once again we saw an invasion of Crimea and then the Donbass, the eastern part of Ukraine. It's clear that we do not have the partner on which that peace dividend was built. And so all our nations, I believe, need to re-examine their investment. And I support what I hear from Germany, which is that Germany has decided that it needs to spend more. Germany is one of the most incredible allies in the NATO alliance and it has the potential to be a real European leader. And I would love to see them step up to that position in terms of military capabilities in Europe. Next week President Donald Trump will meet with the leaders of the other NATO member states for a summit that many worry could end in disharmony. When would you consider the NATO summit a success? I believe there are three very important steps required from this summit. First, like the summit that I attended, Wales, and the summit that I planned, Warsaw, the very first item on the agenda for this summit has to be solidarity of the alliance and the commitment to collective defense and Article 5. Working on the unity of the alliance is the most important external message. Remember that our opponent wants nothing more than to break this alliance up. What I saw at Wales was an alliance that had a whole other agenda set up and the first thing the senior leaders of our nations did was to put out a message of the solidarity of the alliance. The second thing is we should finish what we started in Wales and Warsaw, and that is a good news story. It is the commitment to spending 2 percent of GDP. All the nations committed to this in Wales and in Warsaw we made changes to our force structure and readiness. And we should celebrate how far we have come because it's good. And three, take on the new requirements that will further prepare us to meet what we now know is not a partner on the European landmass. Would you say that the unity and solidarity of the alliance is in question now, which is what many European allies worry about? I like to talk about this in this way: Actions speak louder than words. People are concerned about American commitment to this alliance. So let's just look at what America has done since Russia went into Crimea. America has increased its rotational troop presence all over the area, as far south as Romania, as far north as the Baltics and Poland. America has also made investments in the billions in Europe for what was earlier called the European Reassurance Initiative and now is the European Deterrence Initiative. So there is a lot of rhetoric out there and people worry about this and that being said. But I like to say: Actions speak louder than words. And since Crimea, America has increased its troop presence and drastically increased its investment. So let's take a step back and look at what has happened and worry a little bit less about the rhetoric that's flying. Since you mentioned Russia, many NATO allies fear that the bilateral summit between Trump and Russian President Vladimir Putin on the heels of the NATO meeting could send a wrong message about the unity of the alliance. What is your view of the Trump-Putin summit? I like to look for the good news first and the good news here is that my president will get to speak to all the leaders of the other nations of NATO before he sees Mr. Putin. It would have worried me if our president had seen Mr. Putin before seeing all our allies' leadership. It's important that the president hears from the allies before he sees Mr. Putin and so we have the order correct. President Trump will be able to discuss with all his peers that summit with Mr. Putin before it happens. That is a good thing. I have long said that we — meaning NATO and the United States — need to begin talks with Russia. If we are going to have a peaceful way forward we need to talk about it. We certainly do not want to fight about it. 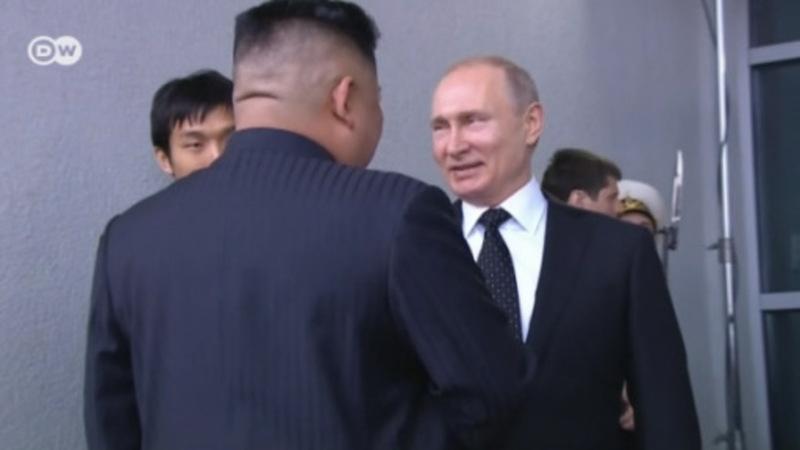 Maybe it would have been better if we had seen a series of interactions at staff level leading up to this summit. But once again, the good news is that the president will consult with all the leaders of the NATO alliance before he meets Mr. Putin. And they then can help him shape this conversation. In the end game we need to get past politics and begin to have constructive conversations with Russia at staff levels and at senior levels. If this meeting serves to be the beginning of that, I actually believe it serves a good purpose. And again, I am very happy the president sees all of his NATO peers before he goes to see Mr. Putin. General Philip M. Breedlove was NATO's Supreme Allied Commander Europe and head of the US European Command from 2013 to 2016.